I mentioned the monsoon that struck the Port Swiller Manor neighborhood the other day? Well, turns out it flooded Eldest Gel’s room down the basement fairly thoroughly. It also got into the main room of the basement, buckling a section of floor near the teevee. Well, as Ray Davies sang, here we go round again. The contractors were back out today ripping up the ruined Pergo and starting to dig holes in the walls to find the leaks. This time we’re looking at putting in wood-like porcelain tile (something I did not even know existed) on the theory that even if it does get wet, it doesn’t matter very much. I believe this stuff is somewhat more expensive than Pergo, which leads to a delicate point: Clearly the latest damage was caused by the contractor not doing a proper job last summah, and I don’t think they’re going to squawk too much about covering the repairs. However, if we are effectively upgrading, who covers that additional cost? It is here that I shamelessly turn the whole thing over to Mrs. R. Despite the fact that I’m a lawyer, I really hate to dicker about personal matters. Mrs. R, on the other hand, seems to enjoy it. That’s why I have come to leave all such matters – buying cars, negotiating home projects, etc. – in her capable hands. UPDATE: Good news, every Juan! Turns out that the gel’s bedroom leak was the result of an overlooked pipe and easily fixable. The other leak was caused by a genuine new crack, but is fixable by a little judicious landscaping and drainage modification. Given this, we’ve decided to stick with the Pergo. Whole biznay much cheaper than I first feared. Sorry, I don’t at the moment have anything particularly weighty to say after the recent seismic upheavals in the Body Politick other than “Dum spiro, spero“. Perhaps I will venture on some more substantive musings in the near future, perhaps not. I can tell you this: Teh Eldest Gel, who has become a keen follower of current events, noted earlier this evening that progressives don’t argue, they have temper tantrums. “It’s like they’re a bunch of goddam toddlers!” she said. Yep. In the meantime, since his beloved Nationals aren’t playing this evening, ol’ Robbo is going to settle in for an “Arrested Development” festival. As I have said here before and, no doubt, will say again, it is my considered opinion that this was the single funniest program ever put on television. I had been thinking before today’s monsoon struck that this might have been a good weekend to cut back the forsythia. Some years ago, I would have sallied forth to do so regardless of the weather. More recently, I would have refrained but fumed about it all day. Now? I simply said meh and have spent most of the day reading Evelyn Waugh. Progress, I like to think. Mrs. Robbo left this morning to go visit her parents for a couple days, teh younger gels are off at summah camp and I hardly ever see the eldest anymore, so this weekend is effectively just your host and his menagerie. Woo Hoo! ♦ Thanks to what was a pretty strong consensus here, I ordered a new set of headphones for my musickal evenings this morning. Thankee muchly for your recommendations. It only took me two months to get around to it. Procrastinate we much? ♦ Speaking of electronics, I find myself hating smartphones more and more. I especially despise the zombie-like way everyone seems to stare at them, oblivious to their surroundings. ♦ I also see where the Vegas odds-makers are betting Robbo’s beloved Nationals are going to win it all this year. I dunno, but since we just got done sweeping both the Bucs and the Braves, I’m starting to get excited. [Insert obligatory “Great kid, but don’t get cocky” here.] We’re supposed to start a series against the despicable Phillies this evening, but I don’t know if the weather is going to cooperate. ♦ Fence guy is coming tomorrow to slap up some wire on the fence in the Port Swiller backyard, thereby allowing us to literally let Daisy off the leash on occasion (under supervision, of course, in case she proves a digger). We decided against the whole Invisible Fence thing because of the price and the complexity and because I’m unwilling to try training her on it when she’s already so skittish around me. The squirrels and the woodchucks are in for a nasty surprise. ♦ Speaking of the back yard, ol’ Robbo demonstrated his apparent genius for stumbling across yellow jacket nests yet again the other evening. I was throwing up a tarp against a corner of the house where we think water is getting into the basement again and thumped down a paving stone literally within two inches of one of their burrows. Fortunately, a storm was rolling in and it was already quite dark, so even though I disturbed them, they only came out sluggishly and I got away without being stung this time. Well, also speaking of the back yard, time to go mow it before the rain rolls in. Whatever terrible nooz comes out today, I’m not going to let it ruin things for me. Don’t you let it, either. UPDATE: Done and done. Everything’s mown, trimmed and blown so it can rain now ’til its eyes bubble for all I care. And, Eldest Gel, who has been working all week at her church’s vacation bible school, is bringing me home an egg, cheese and bagel sammich. FTW! This evening, ol’ Robbo popped over to the devil’s website and bought himself the 7oth Anniversary Edition of “Gone With The Wind”. Why? Because he fears that, if some people have their way, the movie will be disappeared from public view as suddenly have been all Confederate-relatated symbols at National Park gift stores, major retailers and on-line game producers, and as some hope will be at various national memorials, statues and monuments. Not that I hold any particular brief for displaying the Confederate Battle Flag. I certainly wouldn’t want one. After all, my people were Scots Presbyterian Abolitionists who ran a stop on the Underground Railroad in southern Ohio, and my great, great grandfather was a Union artillery officer who fought in the Atlanta Campaign. But I tolerate the right of others to display the CBF much as I’m asked to tolerate things like crucifixes in jars of wee-wee or Illinois Nazis (I hate Illinois Nazis) or Che or Mao t-shirts, and I fear and detest this kind of digital Jacobin airbrushing. Anyhoo, this allows me to trot out a story I’m sure I’ve told here before: Mrs. R had a classmate in college whose grandmother knew Margaret Mitchell back in the day and who attended the world premier of GWTW in Atlanta. A year or two after we were married, we dropped in on this classmate for a visit and got taken to meet her grandmother at brunch. As I recall, teh woman was aged and petite but ramrod-straight. “Well, we live just outside Dee Cee in teh Virginia suburbs,” I answered. UPDATE: Whoops! Catching up on the comments to posts below, I see that I, in fact, told this same story within the past 48 hours. Sorry about that. Know what else I’ve done two days straight? Accidentally left my wallet at the office. I thought I had a few years before Alzheimers’s set in. Guess not. UPDATE DEUX: Prof. Mondo has thoughts on the vainglory and moral preening behind the airbrush movement. As I mentioned immediately below, Mrs. R spent the day yesterday running the younger gels up to their summah camp, carpooling with a friend of ours and her son. It was only upon her return to Port Swiller Manor rayther late in the evening that I learned the party had got somewhat lost on the way there. At this there was much eye-rolling and hair-pulling by your host. Jesus. Mary. Joseph. Ol’ Robbo is a complete shark for geography, directions and what might be summed up as general self-orientation/awareness and it absolutely flabbergasts me that the people around me can be so…. cavalier about such things and also so increasingly dependent on technology to tell them where to go. Regular friends of the decanter will know that I speak the truth when I say that I have been on about this for years and years. As sure as Shire-talk, this is part of Skynet’s plan: condition people to become utterly dependent on their GPS systems and then, on Judgement Day, steer them straight into pre-arranged ambushes. Do not tell me I didn’t warn you. I also mentioned in the post below that teh Eldest Gel and a friend took a jaunt down to King’s Dominion yesterday. Apparently head-swollen by her successful completion of this trip, she announced today that she wished to drive down by herself to Virginia Beach this coming weekend in order to meet up with her godmother and attend some sort of Sweet Briar College celebratory do. Mrs. R hemmed and hawed about it, but when I learned of said Eldest’s plan, my one-word response was NYET! Honest to God: A 17 year old novice driver trying to negotiate the worst beach traffic in the Mid-Atlanatic alone? I. Don’t. Think. So. Hell, I hate making that run and do everything I can to avoid it. Teh Eldest and I spoke about the biznay this evening. As for battle honors, I knew based on her relatively token protest and her resorting to semantics that she knew I was right about this one. But really, it was a no-brainer. Kaylee: [sounding weak, but cheery] Oh, don’t you worry none. Doc fixed me up… pretty. He’s nice. Mal: Don’t go working too hard on that crush, mei-mei. Doc won’t be with us for long. Kaylee: [big smile] You’re nice, too. Mal: [smiles] No, I’m not. I’m a mean old man. Now I know there are Browncoats among the friends of the decanter, because I’ve talked here before about the fact that Joss Whedon was a classmate of mine in college and how amazed I am that such a typical Hippy Progressive Fascist could have turned out such a Libertarian teevee show. Greetings, my fellow port swillers and happy Fathers’ Day! Ironically enough, what with Mrs. R taking teh younger gels to camp today and teh eldest jaunting down to King’s Dominion, after Mass ol’ Robbo spent most of the day more or less just mooching around Port Swiller Manor on his own. One can argue that a break from teenagers can be a rayther nice Fathers’ Day gift in and of itself, but it also wears pretty thin pretty fast. She likes it when I pet her (indeed, she seeks it out), but she mostly still goes stock-still when I do so. Also, if I so much as look at her squiggle-eyed, she…well, what the poem says. It’s a shame, really, and makes me wonder what kind of Alpha Male she had to deal with in her earlier life. Sooner or later, I’m sure she’ll come round. Greetings, my fellow port swillers and OH, HELLZ YEAH!!! 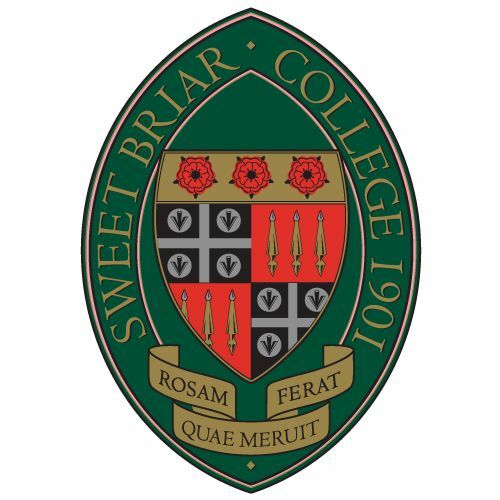 Sweet Briar College will stay open next academic year under a mediation agreement announced today by the state attorney general’s office. Sweet Briar’s embattled current president will resign as will at least 13 members of the college’s current board of directors under the agreement, which will be presented Monday to Bedford County Circuit Judge James Updike for approval. The agreement requires Saving Sweet Briar Inc., the alumnae group that filed suit with the Amherst County attorney to block the closing, to deliver $12 million in donations to keep the college open. The first $2.5 million must be delivered by July 2. Attorney General Mark Herring will agree to release restrictions on $16 million from the college’s endowment to support ongoing operations, according to the agreement. The agreement represents a significant victory for Saving Sweet Briar and County Attorney Ellen Bowyer – at least 18 new members will be elected to a newly reconstituted board of directors from a list of candidates nominated by the group. The new directors would constitute a majority and control the board. The new board will appoint Phillip Stone, the former president of Bridgewater College, to replace the college’s current president, James Jones. The change in leadership will occur seven business days after the court approves the settlement. This is amazingly good news! We had heard yesterday that something big was about to come out, but I wasn’t expecting something quite this big…..
We’re still digesting the initial reports, but the important part is that the deal seems to neutralize the bad players in all this mess and allows Saving Sweet Briar a fighting chance to get the school back on the right track. It’s still an uphill struggle, but I’ve every confidence that the Vixens can do it. As you might imagine, both Mrs. Robbo, who as an alum has put in countless hours fighting for the Resistance this spring, as well as the Eldest Gel, who was planning to apply for early admission this fall, are ecstatic. Bumpers all ’round, ladies and gentlemen, gunn’ls under and no heel taps! Here’s to Sweet Briar with three times three! Holla! Holla! Holla! In fact, I brought home flowers and Mrs. R and I quietly shared a bottle of wine. That’s pretty damned good for a steamy Friday night in late June, especially just as school is breaking out and Mrs. R is finishing up running a short summah camp at St. Marie of the Blessed Educational Method. Curiously, teh Eldest was indignant that we didn’t do any more that this. Ol’ Robbo was going to stay completely off the topic of this week’s brutal mass-murder down in Charleston because the story line seemed so inevitable: psycho-monster slaughters innocents; vultures swoop in on still the warm corpses to push their various politickal agendas (race, guns, self-aggrandizement, etc. ); street thugs take advantage of the situation to go wild; civilisation crumbles just a bit further. My friends, this is Christianity in action. First, the obvious nod to the Lord’s Prayer: “Forgive us our trespasses as we forgive those who trespass against us.” Second, though, note the plea that the killer repent. Repentance isn’t just an empty “Yeah, man, I’m sorry.” It also requires suitable penance. In this case, indeed, it may very well require submission to the full weight and penalty of the Law, i.e., a trip to teh Chair or whatever it is they use down in South Carolina these days. But if Stormdoor (or whatever his name is) actually does this sincerely, the relatives recognize that his soul can still be saved. These people are thinking the long game, not just our brief appearance here on Earth. That, as I say, is a true understanding of Christian salvation. And I tell you truly that I’m not sure, given the same set of circumstances, that I could myself measure up to these brave folks.